All systems go: TJ3Sat is set for launch! « Adafruit Industries – Makers, hackers, artists, designers and engineers! All systems go: TJ3Sat is set for launch! Today, the TJ3Sat student satellite passed NASA’s final launch requirements and is set to blast off this November with 10 other CubeSats as part of the ELaNa IV mission. I started this project in 2006 as the focal point for a high school course in systems engineering. 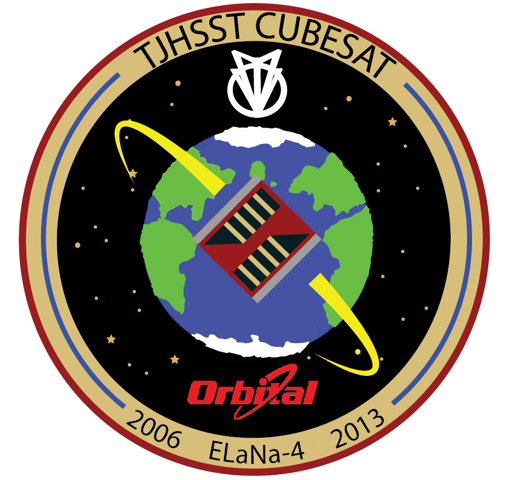 Over the last 8 years, the satellite grew from a series of rather unique student ideas to what is now a fully operational picosatellite that should take the record as the first high-school designed and built satellite. As the satellite orbits the Earth it will beam back basic telemetry data (voltages, temperatures, CPU status,etc.) and host a voice synthesizer that will transmit uploaded text messages in a Steven Hawking-esk voice. The primary goal is to serve as a resource and educational outreach tool that will hopefully inspire other educational institutions to explore the wonders of Space. This past summer the satellite went through the environmental tests at Orbital’s facilities in Dulles, VA. These tests are designed to verify the satellite is robust enough to survive storage, launch and low earth orbit. The most rigorous of these tests was the 3-axis random vibration analysis. During this test, the satellite was placed in a launch deployer simulator (PPOD) and subjected to 54g of random vibration. The following video captures the final round of 0dB random vibe. Congratulations to the entire TJ3Sat team and the many Orbital engineers that have donated their time to make this achievement possible! Stay tuned for more information about the satellite and the upcoming launch! Comments Off on All systems go: TJ3Sat is set for launch!